Sulfates in Shampoos Explained: Shampoo Friend or Foe? Home | Chemical Ingredients | Sulfates In Shampoos Explained: Shampoo Friend or Foe? Nowadays, having beautiful hair is not hard at all, and it doesn’t require sulfates. Numerous producers offer an endless number of hair care products suitable for different natural hair types as well as other beauty instruments for creating that perfect look. Bright advertisements promise to provide your hair with softness and amazing shine, making it docile and attractive. It is no secret that healthy and well-groomed hair has always been a matter of pride for both men and women. Is your shampoo damaging your hair? There is no doubt that the environment has a tremendous impact on our health, and as a result, our beauty. But have you even thought that our hair’s biggest enemy is not the pollution or poor nutrition? Would you ever think that the most damage is done with your own hands with the help of your favorite shampoo? Of course, the main task of any shampoo is to clean and strengthen the hair. However, in many cases it achieves quite the opposite. On average, a person uses over 3 liters of shampoo per year without knowing that aside from all those herbal supplements and oils, our bodies also consume big doses of sulfates and parabens. Can it be harmful for your hair or your health in general? Is it dangerous? And if so, how and should it discourage you from buying another bottle of your favorite shampoo? Sulfates are crystalline colorless substances and are well soluble in water in most cases. Let’s take a brief chemistry class just to clear things up. Sulfates are salts of sulfuric acid. Mineralogy names about 300 types which belong to this class. The most common are gypsum, anhydrite, barite, celestite, thenardite, mirabilite. Many sulfates (sodium, magnesium, iron, copper, etc) are water-soluble minerals. Most of them are of a sedimentary origin, which come from lakes and seas for the exception of hydrothermal barite, alunite and some other minerals. So what is all the noise about and what can be so dangerous and interesting about sea sediments? Well, our main characters today are some very special sulfates, but let’s start from the most intriguing and talked about, the SLS (sodium lauryl sulfate). Sulfates, or salts of sulfuric acid, were first used back in the 1940s for washing tanks and other military machines, becoming the best and irreplaceable for removing oil and other dirt from weapons. When the war ended, this great discovery was quickly adopted for commercial use and SLS became an inevitable element for shampoo, soap and house cleansing fluid production. Manufacturers loved it for the ability to reduce the surface tension of the water. In a joking form, some chemists say it “makes the water even more watery”, while serving as a foaming agent and doing the job of removing dirt just perfectly. Sulfates are what cause the bubbles. Sodium sulfate is a white crystalline solid of formula Na2SO4 and has been known as Glauber’s salt or, historically, sal mirabilis since the 17th century. Large amounts of sodium sulfate have been used to manufacture detergents; however, in recent years, world manufacturers switched to concentrate or compact detergents, in which sulfate is used in small amounts or not used at all. The second largest use of sodium sulfate is glass production. It is also widely used in textile and leather industries as well as non-ferrous metallurgy. Smaller amounts of sodium sulfate are used in chemical laboratories as a dehydrating agent. Despite its great dehydrating properties many also see benefits in using it because of the low cost. Sometimes sodium sulfate is also used in human and veterinary medicine as a saline laxative. It is also registered as a food additive E514, which you might find in some products you purchase in supermarkets and then bring to your table. Barium sulfate It is an inorganic compound, its chemical formula is BaSO4. Its most popular use is in agriculture during soil Ph tests. Some amounts are also used for metal casting to prevent the molten metal from bonding with the mould and because of its high burning point and water insolubility it is used as a coating material for copper. Ammonium sulfate is an inorganic salt with the chemical formula (NH4)2SO4. Its main use is in agriculture as it serves a perfect soil fertilizer. Calcium sulfate, in its natural state, looks like a crystalline white rock an has multiple commercial uses. For example, it is used as a coagulant in the production of well known Asian dish called tofu. Dehydrating of calcium sulfate is used in industrial calcination, while mixed with polymers it can help in producing bone repair cement. SLS, SLES and ALS are used in production of various cleansers – fluid soap, shower gel, shampoo, domestic cleansers, bath foam, toothpaste, etc. They are hazardous toxic substances with strong degreasing and dehydrating properties and corrosion protection abilities. Did you know that there is something common between your hair and a garage floor? Well, unfortunately there is. You garage cleansing detergent and your favorite vanilla shampoo contain the same ingredients. When accumulating in your body (the liver, heart, kidneys, eyes and other organs) it can cause cell mutation and lead to various diseases. These surfactants are especially dangerous for children. Just like they are able to degrease and dehydrate any surface it causes dryness, irritation, and scaling of the skin, hair sap, weakens the hair follicle, causes scalp and body diseases. These skin and haircare products also speed the aging process and when coming into reaction with other components and nitrates they form different carcinogens. Note that even if you thoroughly check for all ingredients as written on the packaging and the manufacturer assures you that there are no SLS in his product, this does not mean at all that there are no other hazardous ingredients, such as Ammonium lauryl sulfate. Amines / diethanolamine and triethanolamine (TEA – triethanolamine and DEA – diethanolamine) / MEA (Monoethanolamine): all of these are used as emulsifiers and foaming agents in shampoos, conditioners, shaving creams, shower gels, bath foams, soaps, creams, lotions and decorative cosmetics. Triethanolamine and diethanolamine are carcinogens in their pure form. When used often, they might cause irritation, itching, allergies and dermatitis. In combination with other components, they even start a chemical reaction and nitrates. The combination of TEA with SLS (SLES) is particularly dangerous for your health and for your children. Diethanolamine easily penetrates into the skin and collects in internal organs, causing damage to kidneys, liver and even the brain. Sodium Myreth Sulfate is also a mixture of organic compounds used as a component of detergents with surface-active properties. It is used for similar purposes just like other sulfates you have already read about in this article. The only difference is that it may contain residues of ethylene oxide, dioxane and formaldehyde, which are all highly reactive and potentially carcinogenic substances. Registered as a food additive E514, which stabilizes the consistency of the product and is used in the preparation of various bakery products, soft drinks, cheese. The reality of the modern cosmetics industry is that the vast majority of cosmetic and household products, including and especially those produced by the most famous international companies, is a hellish mixture of chemicals and carcinogens. These chemicals bulk up in the body, not only causing skin problems, but also becoming a reason of internal organs diseases development. Women put make up on their skin on a daily basis and often in large quantities. Soaps, shampoos, shower gels, liquid soaps, bath foams, tonic water, face wash, creams, lotions, masks – we all use every day during our lives. Toxic substances penetrate into the skin, we breathe them in and they end up surrounding us everywhere. Scientist have proven that the amount of nitrates entering our bodies through the skin is a hundred times higher than the amount of nitrates, which enter our body with food. Why Do Shampoo Companies Use Chemicals? Why do the manufacturers add these dangerous substances to their products? Sulfates have the necessary properties to give us that tender and aromatic foam we all love. It provides us with the feeling of cleanness. The ammonium lauryl sulfate, sodium lauryl sulfate and sodium laureth sulfate – are the most widely spread sulfates, which can be found in in the bottles on the shelves of our bathrooms. These sulfates actually damage our hair more than you might think. Scientists have discovered numerous dangerous toxic substances, which are in the list of components used for cosmetics production. Over a 1,000 new chemical compounds are being discovered and used in cosmetic industry every year, but how many of them are toxic? 70 to 80% of any shampoo is deionized water, which is specially treated to remove various unneeded particles and ions. The second most important ingredient is a surfactant, which serves as a detergent. Surfactants are surface active ingredients and are called so for a simple and obvious reason – they can interact with surfaces. Because these ingredients are of a chemical nature they have an ability to capture oil particles and distract them from different surfaces. 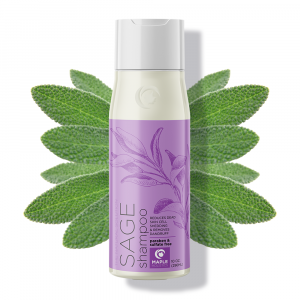 This special substance is derived from fatty acids and gives the shampoo its cleansing power. Commonly known raw materials for surfactant production are soy bean oil, coconut oil, palm kernel oil. Surfactants are not only responsible for the cleansing ability of your shampoo or liquid soap, they also add the foaminess to it. Of course, without this ingredient the shampoo wouldn’t be what we are used to know it to be. What's in your shampoo? PM me to try Monat! The way surfactants work on your hair is that they play a role of a “brush”, which strips off the sebum from your hair. Well, don’t be quick to judge and think that removing all the sebum (oil) is a good thing. Nature knows its job and we need sebum for creating a protective layer. Unfortunately, it has its downsides as it collects dust, cosmetic materials and skin particles which need to be removed from time to time. You have probably noticed that some shampoos do the job better, while for others it takes time to show that foaming effect. 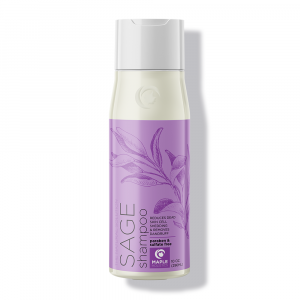 The truth is that the more foam there is the more surfactants the shampoo contains increasing chances of dry skin and irritations. Some studies say that surfactants penetrate easily into the skin and cause accumulation of toxic elements in our internal organs. Other researches show that when not being used on a constant basis and in small amounts surfactants don’t cause significant damage. Even though the surfactants became the subject of this article, shampoos contain far more ingredients than just them. Another one worth mentioning and talking about is emulsifier. In order to understand how emulsifiers work and what they are used for lets look closer at the molecular structure of this element. An emulsifier molecule consists of a water-loving head and an oil-loving tail. An emulsifier can be described as an interface between the oil/water or air/water. It reduces the water surface tension stabilizes the emulsion. In simple words, when added to two unblendeable ingredients it helps them to become stable in their blended state. They are usually used in creams and lotions allowing the surfactants to remove the oil and wash it away. It works like this: when the hydrophobic end finds itself secured in the oily layer the hydrophilic remains attached to the water. The captured sebum is being washed away when we rinse our hair. Higher steric hinderance and lower ionization levels of the ammonium group help to prevent precipitation of conditioning agents, especially in 2-in-1 types of formulas. It is also used to prevent precipitation of surfactants due to the common ion effect. A lot of science behind a simple shampoo bottle, isn’t there? But what if you found out that you don’t have to pay with your health for the lathering effect? The primary lathering agent in our shampoo is Sodium Cocoyl Isethionate, which, unlike other detergents (such as Sodium Lauryl Sulfate and Sodium Laureth Sulfate), is not a toxic detergent. The ingredient is perfectly safe in its correct dosage, and is used synergistically with several other safe and gentle lathering agents to produce a superior lathering effect. 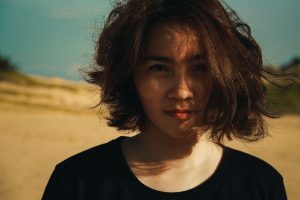 It is typical to believe that natural products are not supposed to lather, because most natural products do not include safe and gentle lathering agents. Popular but irritating lathering agents (such as sulfates) are very inexpensive, and gentle and safe lathering agents (such as Sodium Cocoyl Isethionate) tend to be quite expensive. To cut costs, most companies do not include them in their haircare products. At Maple Holistics, we strive to provide the most satisfactory and pleasant experience with all of our products by using the highest quality and safest ingredients without sacrificing quality for cost. SLS and SLES are commonly found in 2-in-1 formulas. Just like any other businesses, shampoo manufacturers’ goal is to make money. Sometimes in order to do that one has to start saving on some component of their product. In case with shampoos and other cleaning detergents manufacturers prefer to say no to a more expensive natural soap basis and use cheaper sulfates. Years and years ago when our grand grandmothers used soap to wash their hair and pretty much everything in the house the picture seemed quite different. First of all it was not as harmful. Of course, in order to clean your hair completely, you would need to apply soap and wash it off for several times, and even though the process took longer the effect was the same but with less damage. However the price of this raw material is too high for mass production and its usage in shampoos is not commercially justified. 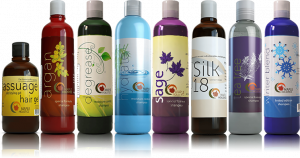 Low cost of raw materials is not the only reason for using sulfates as one of the main ingredients in shampoos. 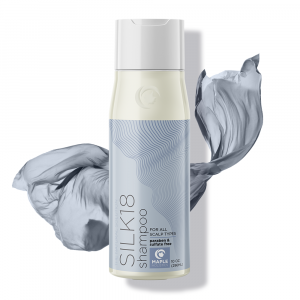 Besides beauty effects promised by the producers, such as silkyness, extra shine or strengths, the main purpose of this product is to remove dirt and extra oil from hair. As much as everyone would love to but this is not possible without shampoo’s lather and detergent qualities, which they get due to containing surfactants. Of course chemistry goes further and offers alternative surfactants. Let’s take a closer look at what they are and how they differ from sulfates affecting producer’s choice of material. Anionic substances constitute the largest group of surfactants; they are accounted for about 50% of global surfactant production. This group includes sulfate esters, sulfates of fatty acids, sulfated ethers, sulfated fats and oils, sulfonic acid salts, aliphatic sulfates, alkylaryl sulfates, carboxylates, lignosulfates, phosphate esters, condensation products of sulfated fatty acids and other. Typically, the products of this group include alkylbenzene sulfates (used in detergents), fatty acids (used in soaps), lauryl-sulfate (for foaming). 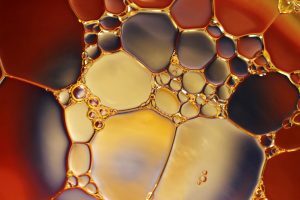 These substances perform exceptional wetting and emulsifying ability, while also being characterized by strong foaming properties compared to all other surfactants. Anionic surfactants provide such an important feature as leather and detergency in shampoos. The SLS and SLES we have already mentioned above are the most widely used ones. Just like the emulsifiers, anionic surfactants help to prevent precipitation of conditioning agents, especially in 2-in-1 types of formulas. It is also used to prevent precipitation of surfactants due to the common ion effect. Non-ionic surfactants is the second largest group, which accounts for about 45% of global surfactant production. They allow manufacturers to vary the extent of shampoo’s solubility by changing the size of hydrophilic groups. Non-ionic surfactants are usually not included in shampoos due to being rather harsh detergents. Because of strong defatting properties they might harm your hair by stripping it and causing scalp irritation. 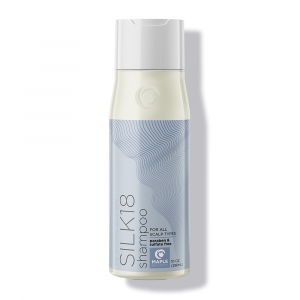 There are a few which can appear in shampoos though, but they have milder formulas and are usually used to stabilize the foam and thickness in greasy hair type products. If you want to look for them in the contents of your shampoo you should look for laureth-3 or 4, cocamide DEA or coco glucosides. Cationic surfactants, which are carrying a positive electric charge include imidazoline derivatives, betaines, pyridine, morpholine and quaternary ammonium compounds. All these materials have high antibacterial and antirust qualities and can be used as demulsifiers. Their ability to use static attraction to cling to wet surfaces makes them a good base for conditioners. Such properties are the reason why conditioners are not so easily removed from hair. A quarternerised cellulose based polymer, Polyquarternium-10 is one of the most common cationic conditioners. Amphoteric form of suractants may contain both positively and negatively charged functional groups when ionized. These include imidazolines, betaines, amines derived from the condensation, sulfobetaines, and quaternary ammonium phosphatides. At a low level of pH the above materials serve as cationic substances. At high level of pH, by their properties they become identical to anionic surfactants. When mixed in different solutions they act as monomers. The state of amphoteric surfactants is infuenced by the temperature, level of pH and components of the solution. Amphoteric surfactants are widely used in shampoo because of their ability to decrease the irritancy and to increase the content level of the product and lather quality. Baby shampoos usually consist of them entirely due to their mildness. The most popular are cocamido propyl betaine and cocamido betaine. In order to maintain their properties, the 2-in-1 products usually contain anionic and cationic surfactants in the same formulation. Because of their opposite charges the precipitation of ions is very likely to happen so large bulky sterically hindered counterions have to be used to reduce the ionization. It’s extremely important to use natural products on your hair. For many, the conventional personal products that line the shelves of our supermarkets and pharmacy’s around the world are perfectly okay for regular use and consumption. However, many are starting to realize that all may not be what it seems – at least as far as labels and marketing campaigns go.The truth about many of the products that we use on a regular basis is that they’re loaded with harmful chemicals. Why is this? Largely due to one simple factor – profit. It’s a lot easier for a company to increase their profit margins by using inexpensive chemicals to achieve the same effect that a natural product may – if not better. While this may make sense on paper (at least in number form), the truth is that it comes at a far greater cost – our health. Check out our Top 5 Hydrosols and Top 5 Absolute Oils at Maple Holistics! Our skin is not an impenetrable layer – it’s porous like a sponge. This means that anything that goes on our skin, eventually winds up in our body (at least if it’s in the correct dosage). So it’s best to think of personal products as being like food that we eat – through our skin! This might sound crazy – but it’s true. If you wouldn’t put something in your mouth – why would you want it on your head or skin in general? Basically, if it’s poisonous when consumed orally, it’s equally as hazardous when used on your scalp or skin. So by switching to natural products (shampoos and conditioners), we can actively feed our skin much like we would feed ourselves, with healthy and revitalizing ingredients. This means that our skin get’s the nutrients it needs and can in turn heal itself better as it has the vitamins and minerals it needs to stay healthy. If you switch to an all-natural product line and watch what you eat for even just 1 month – you’ll feel the results quite drastically! The added benefit of that is that once you’ve made the change for a month, it’ll be easier for you to stick to your new, all-natural routine. Trust me – making this switch was easily one of the best decisions I ever made for my health. It’s cheaper, healthier and better for the environment – frankly the sooner we all wake-up to this, the better. So try it out for a month and spread the news once you get the results. Your health and the environment depends on it!